Our trip back in time! 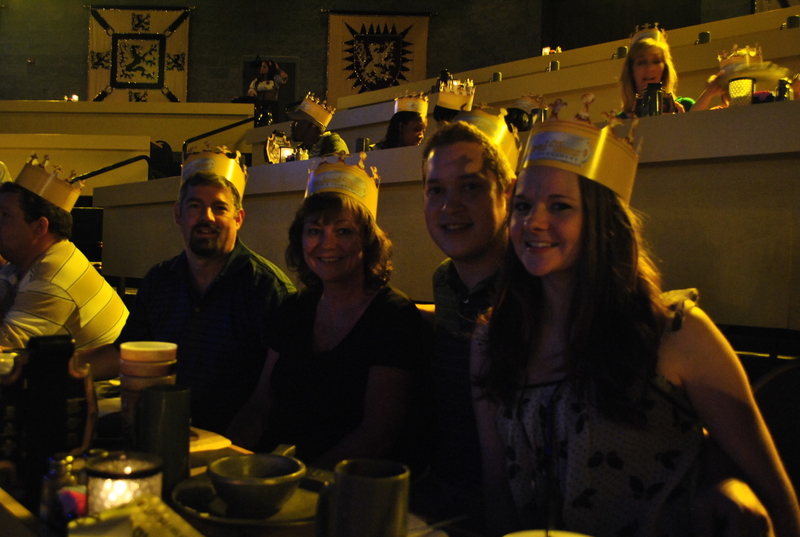 As part of celebrating Megan’s birthday, we went to Medieval Times with her parents. We had never been there and had no idea what to expect. 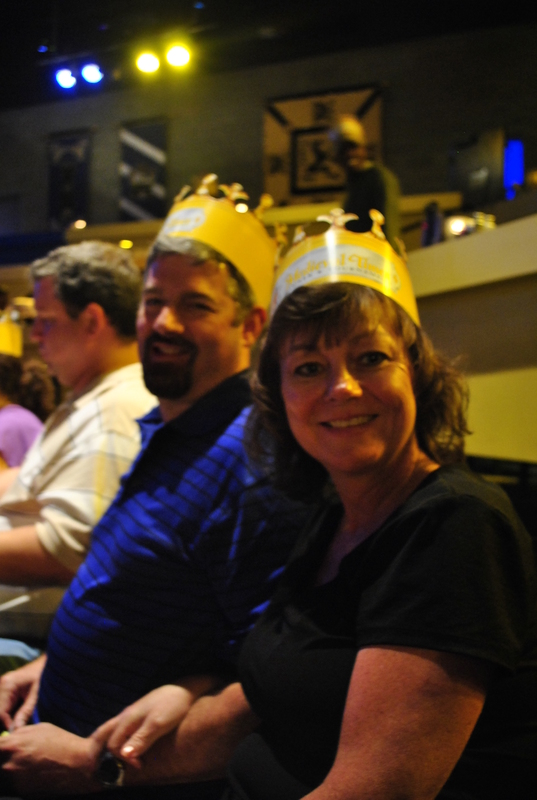 The bartenders were wenches and all of the males were anything from peasants to knights. 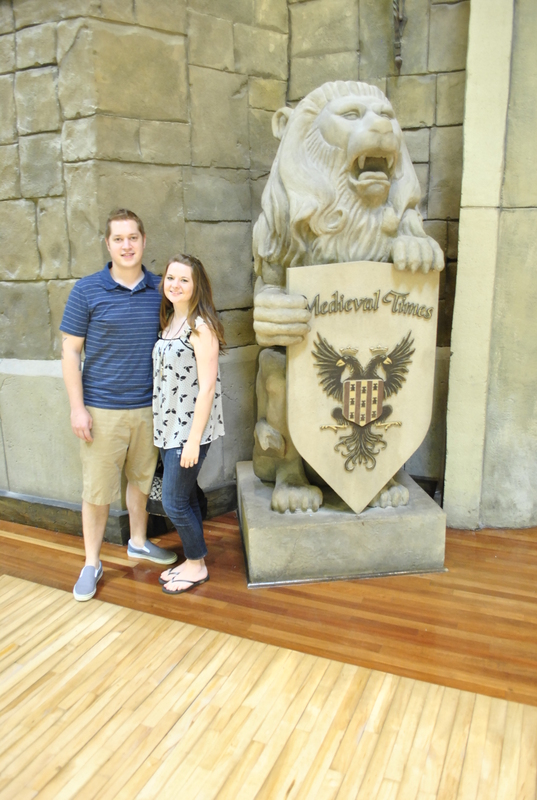 Within the castle (inside Discover Mills Mall) everything was as realistic as they could make it. When you walk in you are crowned with a certain color. 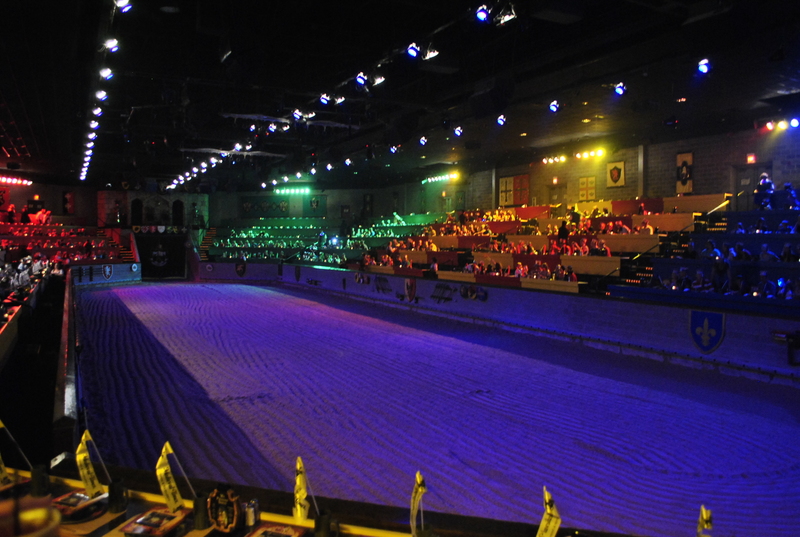 The color you are given determines where you sit in the arena area and which knight will represent you in the tournament. We got there about an hour early and had time to relax for a little bit. When it was showtime, they called everyone into the arena by the color they were given. When entering the arena the people cheered for their color and everyone else booed for them. We went in last and definitely did more booing than cheering. 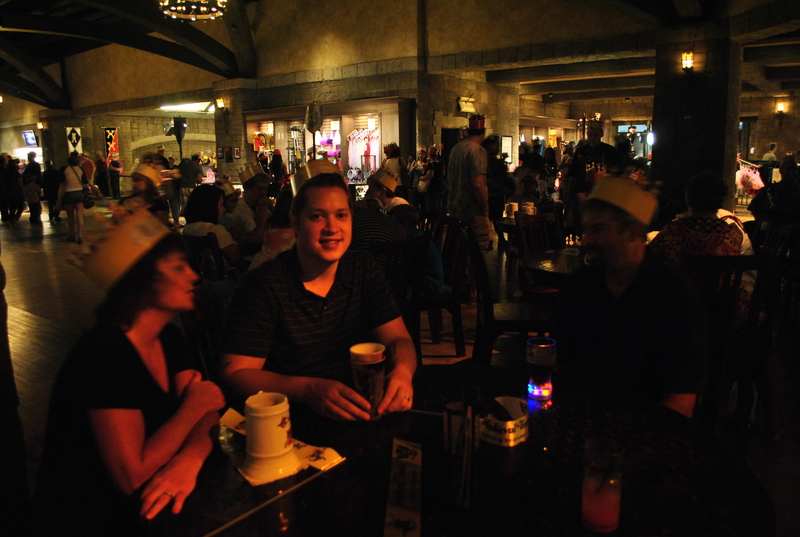 Once we were seated the wenches went around and took our drink orders and gave us tomatoe bisque soup and garlic bread. Our dinnerware was complete with a metal soup bowl and a metal plate. No utensils or anything else. 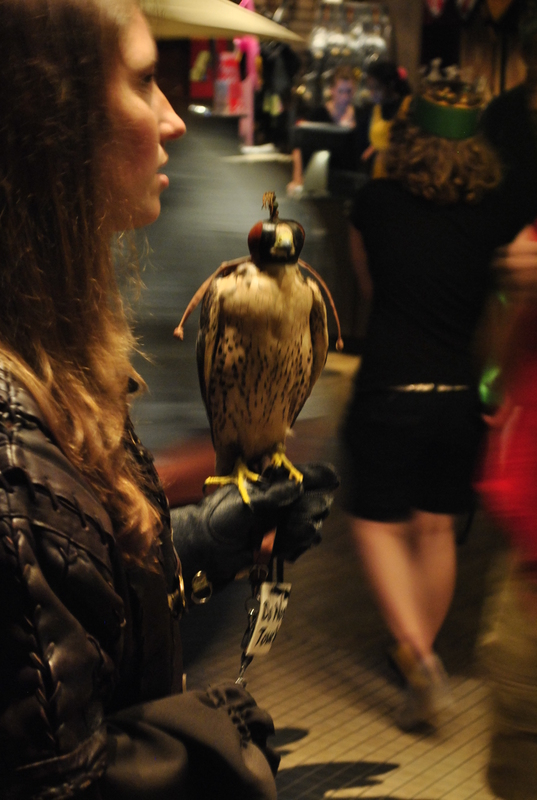 Then the show began! 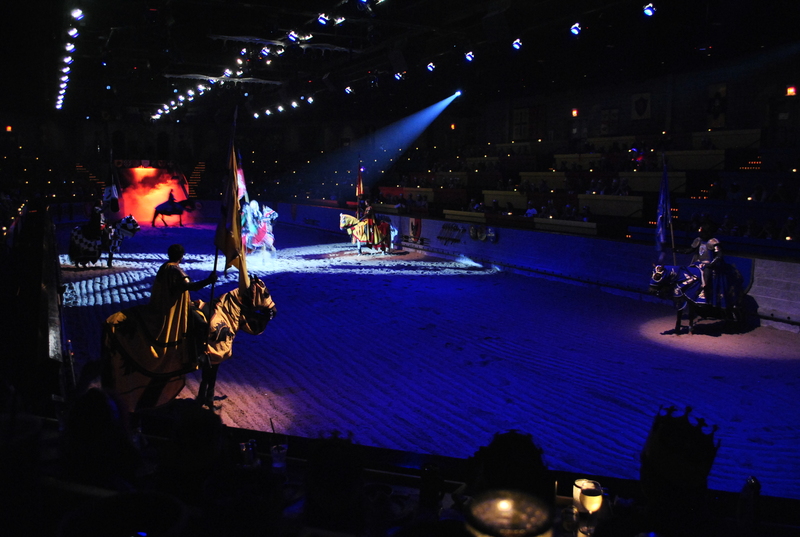 The tournament included jousting, saving princesses and several precision based games. While this was going on we were served our main courses. Half chickens and ribs with more bread and an apple turnover for dessert. 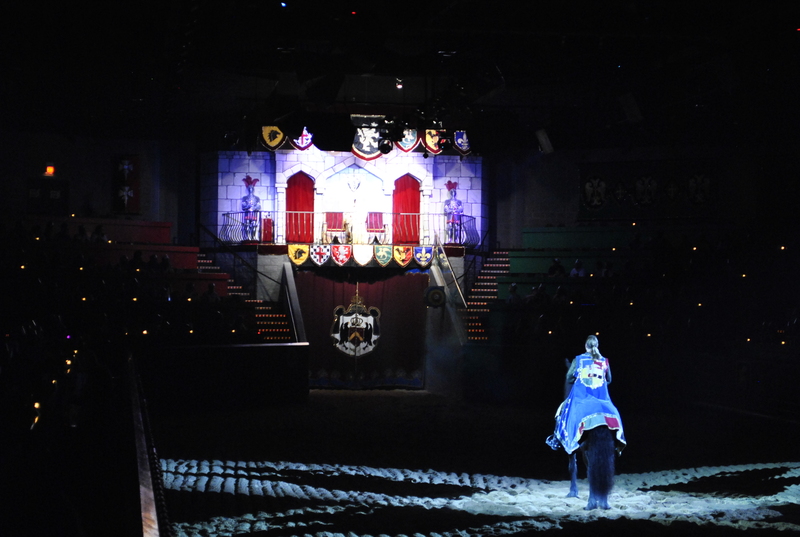 Our knight lasted pretty long compared to some of the others, but alas his skills could not compare to the red one…or blue one or whoever it was that conquered him. We ended up having a lot of fun and the night was a success.